A graduate of the University of Denver College of Law, where she was selected for Law Review, Peggy began her Fort Lauderdale career at the prestigious Fleming, O’Bryan & Fleming law firm — assigned to premier insurance defense attorney Rex Conrad. Working with Rex, Peggy honed her creative litigation and resolution skills – expertise which would pave the way for her future success on the bench, as a mediator and arbitrator. Civil litigation, probate litigation, and family law made up the bulk of a 13 year private practice during which time she developed a keen attention to detail, strong writing skills and a respect for private practitioners. Moving forward into the judiciary to broaden her purview of the law, Peggy adjudicated thousands of civil and criminal cases in Broward County, after serving the 17th Judicial Circuit as a General Magistrate. Upon retirement from the bench, Peggy earned her certification by the Florida Supreme Court as a Circuit/Civil Mediator and County Mediator. She then returned to her roots in civil litigation, where she has developed an expertise in civil mediations and arbitrations, with a focus on probate, guardianship, trusts, real property, elder law, and estate disputes. She also has built a thriving practice in insurance mediations and arbitrations–both in medical claims and property damage, as well as condominium disputes. In addition to her certification in circuit/civil and county, Peggy is a Florida Supreme Court certified Family mediator–an area where she has broad experience both as a private practitioner and member of the judiciary. Serving as a Florida Supreme Court designated Senior Judge immediately after retirement, she sat in both the family and domestic violence divisions. Earlier, as a Broward County General Magistrate, she sat in Child Support and Family Law, Domestic Violence, Guardianship and Mental Health divisions. With a breadth of experience few family mediators can offer, Peggy is able to bring compassion and practical resolutions to family mediations, reflecting her years on the bench resolving family and guardianship disputes. 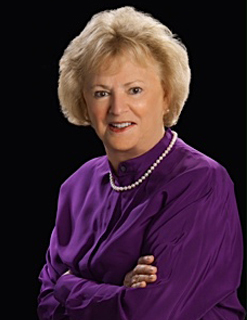 A seasoned educator, Peggy has taught at various bar associations and Judges’ Conferences, imparting her legal insights on professionalism, ethics, criminal sentencing, jury instructions, and attorneys fees to judicial colleagues and fellow attorneys throughout her career. The mother of two grown daughters – one who leads a fund-raising organization and the other who has entered corporate life with her recent MBA – Peggy is an ardent animal activist and a weekend golfer. She earned a B.S. from the University of Florida in Journalism, and has just completed her first young adult novel about life in the Everglades.